One Book, One College is a year-long, interdisciplinary program engaging the ICC community through the reading and discussion of a shared book. The book for the 2015-2016 school year is the award winning book, March: Book One by John Lewis, Andrew Aydin and Nate Powell. 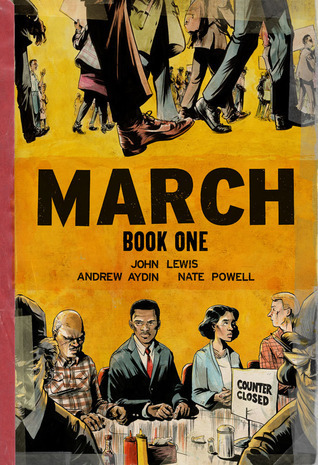 Told in graphic form, March: Book One is the first-hand account of (now Congressman) John Lewis’ young life and how he got involved in the civil rights movement. Events will be based on the theme of citizenship. Event planning for fall semester events is underway and includes: guest speakers from area civic leaders (city managers, city council, mayors, etc), Movie Matinees, model government, small group discussions, and more. Faculty are encouraged to include the selected title and events into their classes. If you have questions refer to our webpage http://libguides.icc.edu/onebook or contact Michelle Nielsen Ott ([email protected] or ext. 5617).